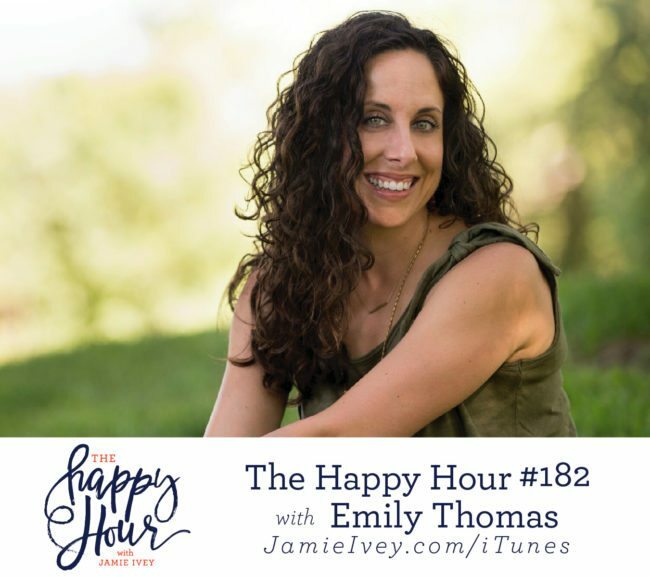 My guest for The Happy Hour # 182 is Emily Thomas. Emily is the host of the Mom Struggling Well podcast where she employs humor and candor to share the encouragement from God’s word and her personal motherhood misadventures in an effort to build up worn-down moms everywhere. On today's show, Emily and I start off talking about parenting challenges and Emily shares her story of infertility that led her to adoption. I appreciated Emily's honesty so much as she tells us about the difficulties she faced in connecting with her daughter and how they are fostering a healthy relationship together. Emily then shares the incredible story of her first marriage that began with an engagement after the first date, moving overseas, and ended with Emily fleeing for her safety. I loved the end of our conversation when Emily and I talk about the importance of recognizing when how we feel about God doesn't line up with what is actually true about God. This is such a great encouragement for all of us that no matter how unusable by God we may feel, the truth about who God is and how He loves us is greater! 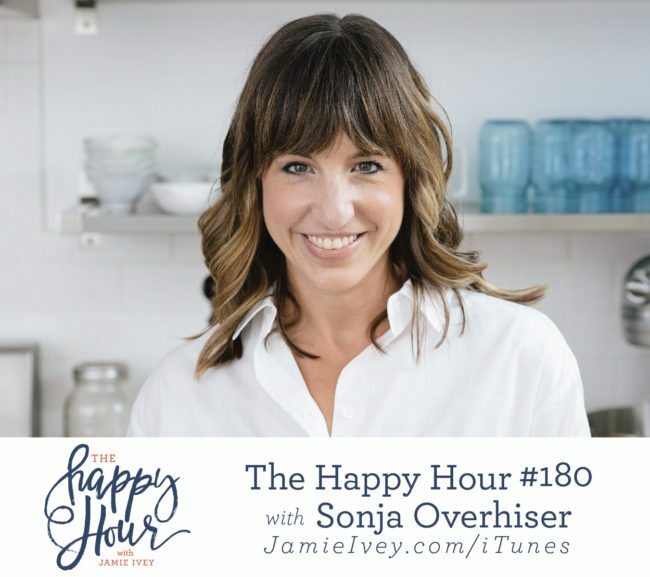 My guest for The Happy Hour # 180 is Sonja Overhiser. Sonja is an author, recipe developer, podcast host, and healthy and sustainable food advocate. She and her husband Alex have created the A Couple Cooks website and the A Couple Cooks podcast that together provide recipes, conversation, and inspiration for healthy and sustainable eating. Sonja and I start off talking about how she discovered her passion for cooking through trying out recipes from cookbooks with her husband. We talk about the power of sharing a meal with others, and the walls that come down and community built up by breaking bread together. You'll be moved by Sonja's journey to becoming a momma as she takes us through her cancer diagnosis, infertility, and the road to bringing home her son. She shares about the difficulty of being in a "liminal space" where you're in transition, waiting and uncertain what God is leading you to next. Sonja and I got to chat about so many things on the show today from how what we eat connects to our faith, to the amazing and bittersweet moments that can happen in adoption. 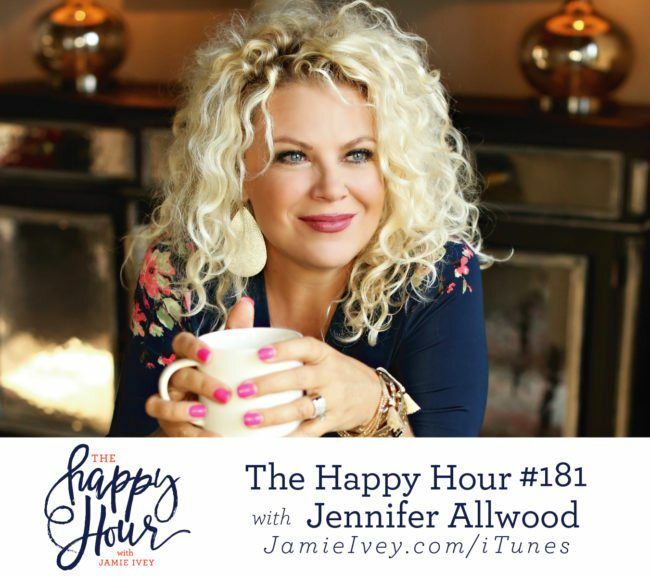 I'm so excited to share our conversation with you and know you're going to love it. 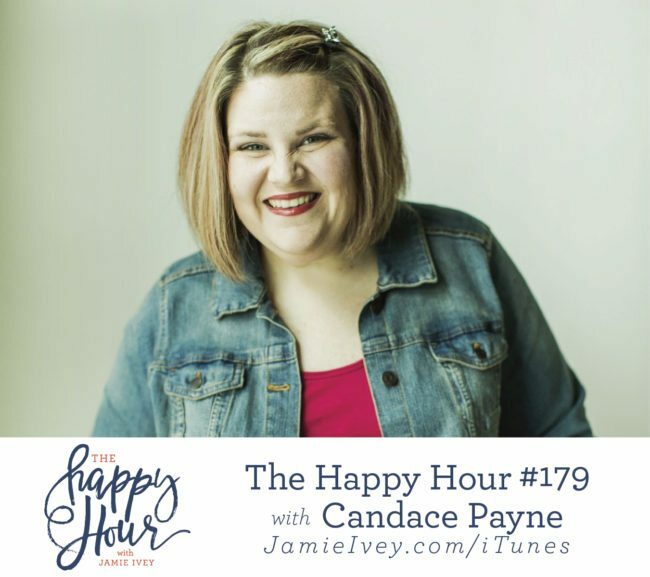 My guest for The Happy Hour # 179 is Candace Payne. On the show today, you'll get to know the woman behind the Chewbacca Mask whose video became a viral sensation and the most-viewed Facebook Live video to date. Candace is a speaker and author of Laugh It Up: Embrace Freedom and Experience Defiant Joy, and the small-group curriculum, Defiant Joy: What Happens When You’re Full Of It. Candace and I start the show discussing all things movies by playing "Skip It or Ticket" and you'll learn how much I know about Star Wars (hint: I may have fallen asleep during one of the movies!). Candace shares how posting her Chewbacca Mask video changed her life literally overnight, and what it has been like to experience fame so quickly. Candace opens up about struggles her family has endured, including a time when they were homeless. Candace reminds us that through God we always have access to joy and freedom no matter the circumstances, and it's up to us to choose to fight for it. Candace will make you laugh and encourage you to embrace and experience joy, and I know you'll love my conversation with her.